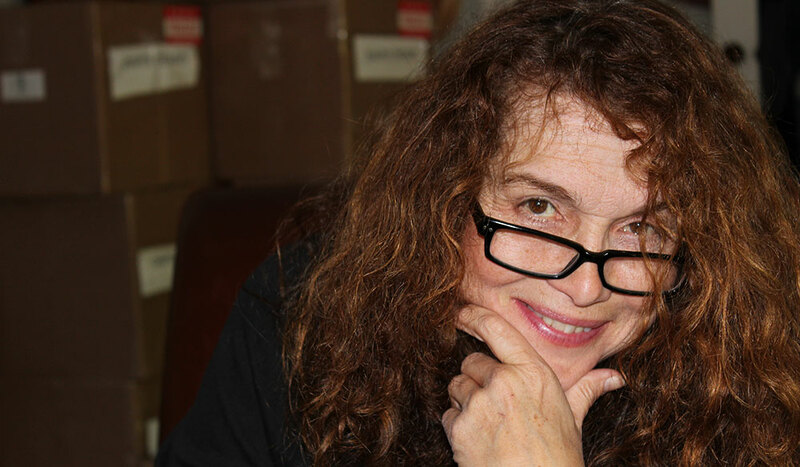 Patricia Resnick has worked on an impressive array of projects throughout her career. Here’s what she has to say about the craft and the industry. Patricia Resnick had more than a cup of ambition when she started writing films with Robert Altman, working with Dolly Parton on 9 to 5, and tackling the mad landscape of television. We sat down with Resnick for a candid discussion about storytelling, her creative and personal journeys, and dancing with the First Lady. Yes, dancing with the First Lady. We’ll get to that. Image courtesy of Patrica Resnick. PremiumBeat: You’ve had an amazing career so far, which is no small feat for a woman starting out in the late ’70s. 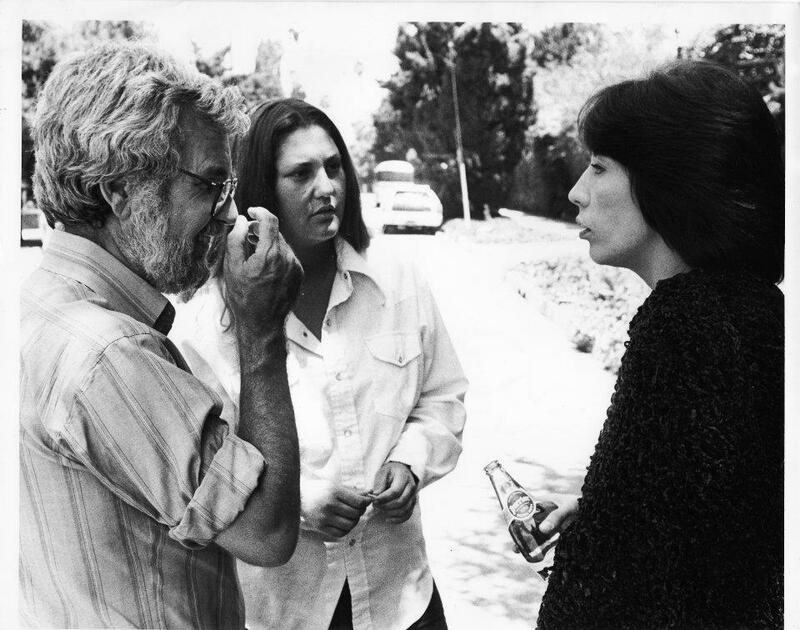 You’ve worked with Robert Altman on three films: 3 Women, A Wedding, and Quintet. How did that relationship develop, and what was the creative process like for you? Patricia Resnick: Atman had a number of strong women around him. For example, Scott Bushnell (a woman). She was very important to him. 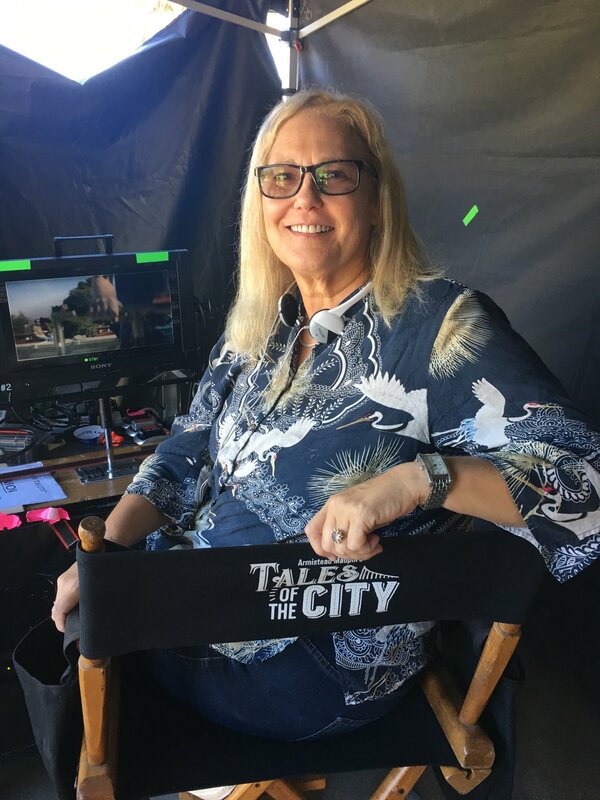 Nashville had a female screenwriter — Joan Tewkesbury. I never saw him have an issue with gender. I met him when I was in college at USC as a cinema major, which meant I was in my car a lot. When I was driving through the streets whenever I saw something that was filming, I would stop and park and ask what it was. I was from Miami Beach, and we didn’t have productions there, so it was all so fascinating. One day, it was an Altman film, and I happened to be writing a paper on him for film class. So I waited for him to come out of his office and introduced myself and asked him if I could interview him. He said yes, and when I had finished my paper, I dropped it off. He read it, loved it, and wanted me to work for him. Image via Buffalo Bill and the Indians (United Artists). The problem was he didn’t have the money to pay me. 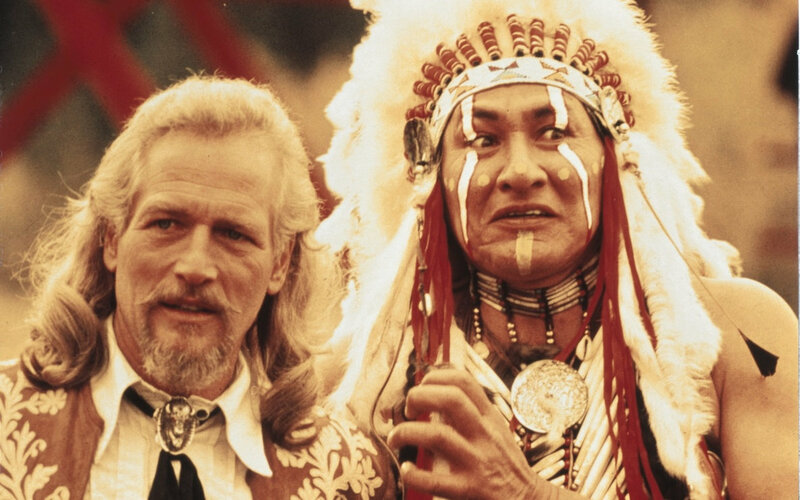 I was able to get a 90-day grant to be the assistant to the publicist for Buffalo Bill and the Indians. I tried to make myself indispensable. I knew I had 90 days to make myself essential before the grant money was over. It worked. He kept me on, and I ended up writing a treatment for him for 3 Women. He didn’t see me as a writer at first. During the first two years I worked with him, I did other projects. I wrote a spec script and ended up writing two skits for Lily Tomlin’s Broadway show, Appearing Nitely. Altman came to see it and finally said, “The kid can write.” Then I wrote on A Wedding for him. 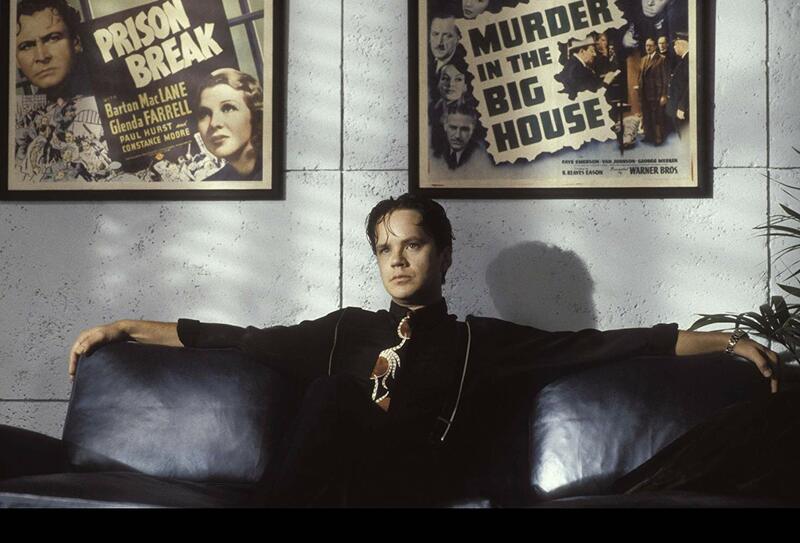 I was 24.
image via The Player (Warner Bros). PB: You also played yourself in The Player. How did that happen? PR: That was way later, in 1992! He was doing the opening shot, and his idea was to make it all people who had worked with him. He put Buck Henry, Alan Rudolph, Joan Tewkebury, and me together and told Joan and me “I want you to do your own pitch.” She didn’t want to do it, so I put together a silly version of something I had vaguely in my mind already. We shot it all in half a day. I had a bit of nostalgia recently with that scene. The studio where we are shooting the Netflix series Tales of the City is the same place where we shot The Player. I kept feeling something was familiar and then recently re-watched The Player with friends, and it all came back. Image via 9 to 5 (Twentieth Century Fox). 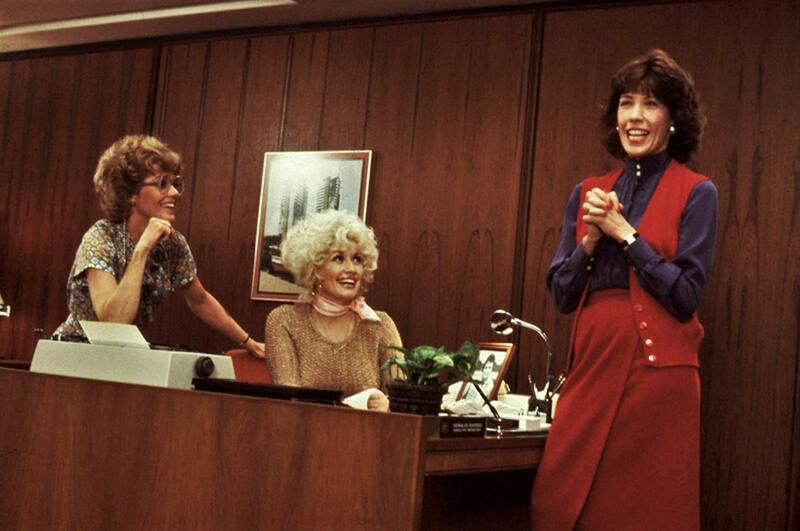 PB: It’s so hard not to geek out getting into your next project after the Altman credits: 9 to 5. In 1980 when you wrote that screenplay, it was a pretty radical comedy. Did you have any notion that it would be such an important film for women and still be relevant enough today to be remade? PR: I knew opening day. Not at the premiere, but opening day in theaters. I remember seeing the line for it and then turning the corner and seeing that the line went all the way down the block. Then hearing the audience laughing and responding. It was thrilling. We are opening the stage play musical on the West End in London on January 28. When the play premiered on Broadway in 2009, we took a pretty hard hit from critics — mostly male critics. The feeling at the time was that the message of the play was dated because the male journalists were certain the sexism problem had been solved. Considering the current climate . . .
PB: Yes. 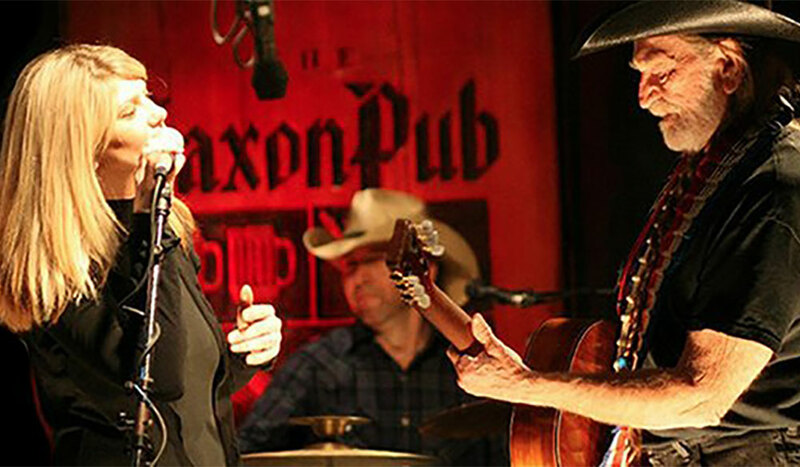 And of course you have your secret weapon again: Dolly Parton. I’m amazed that after all these years, she continues to give such love to 9 to 5! Any thoughts why? PR: It was her first movie role ever. It really put her on the map in terms of being an actress. I also think the three women did and do like each other, and it was a happy time. We all saw the film go from a comedy that did well in the theater to something more iconic. In terms of the musical stage version, I don’t know if writing a musical had been a dream of hers, but Dolly always loves new challenges, and she loves to create, and she loves to write songs. Whenever she is in town and doing a show, I try to go, and as soon as the first chords of 9 to 5 begin, the crowd goes nuts. It’s really amazing to witness. PB: Recently, you’ve concentrated more on TV. You were a consulting producer on Mad Men and have written TV movies as well as episodes for other series. Why did you make the move? Are we doing the most interesting work on television these days? PR: Basically, yeah. In the mid-’90s, feature work was drying up for me. Because the kind of movies that I wrote weren’t really being made any more. Comic book movies were happening, and it’s not what I write. I had young kids, and I didn’t want to staff with TV because that would have been a lot of hours away from them, so I wrote TV movies and the animated show, Olivia. I worked on plays and pilots. When the kids were in high school and off at college, at that point, it was the second golden age of television. I thought I could go staff because eleventh graders don’t want to see you much anyway. 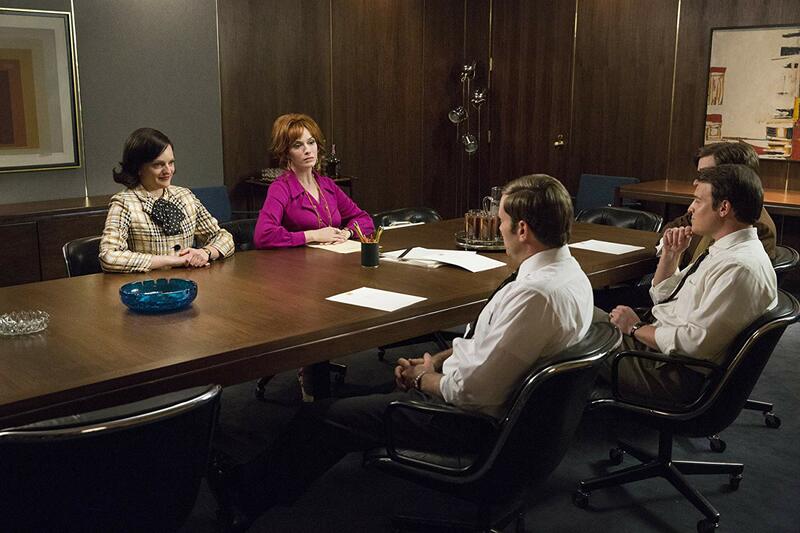 I was such a huge fan of Mad Men, and it was so great to get my first staff job on that show. It was an incredible room of smart people dedicated to doing their best work. PB: First job in film with Robert Altman. First job on staff with Matt Weiner and Mad Men. Not too shabby. 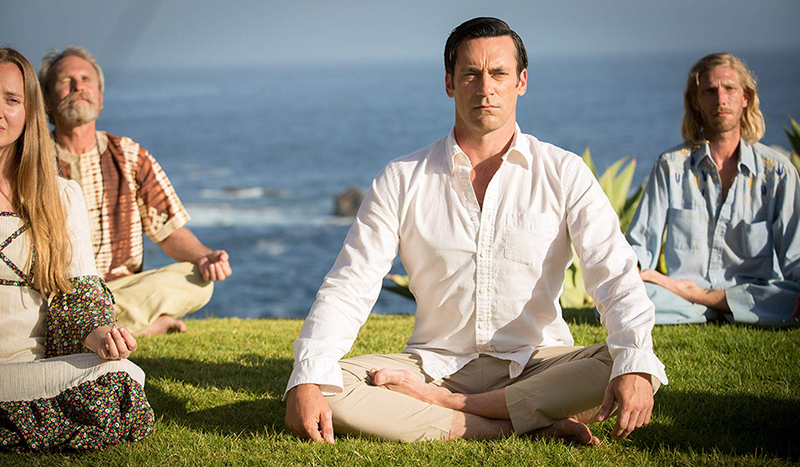 What’s the writer’s room like for a character-driven show like Mad Men? PR: It’s actually more plot-driven than you would think. I came in for the last season of Mad Men. When you are in the seventh season of anything, characters are set, and the main question becomes what experience do we want to leave everyone? Matt came in and talked to us about emotionally the feeling that he wanted and about a book he had read over the summer, Siddhartha (by Herman Hesse.) It doesn’t have any correlation to our plot, but the story deals with the spiritual journey of self-discovery, which is very much Don’s path. PB: Do you have a consistent way of working when you start a screenplay or teleplay? Do you write a treatment or outline, do character bios before you write, or is it a more freeform process? PR: Ideas. As a general rule, something will pop into my head, but mostly I’m not that lucky. I will have to make time to think about what’s going on in the world or in my life and see if that is fertile ground to bring it to life. To have the germ of the idea for something that is pitchable is the hardest part. Developing it is the hardest part — and having to abandon some things. Sometimes it’s a good idea, but I’m not the best writer for it. A spy thriller, for example, I might not pursue. I spend a lot of time in cars, so I ponder while driving. Every year what you need to sell something is more and more in depth. In the ’80s I once sold a very brief pitch. Gave him two lines and sold it on the phone. That doesn’t happen anymore. So now, they want things unbelievably worked out, and as far as TV, they really want all the characters, the first season, where you plan to end up. Visual aids. Look books — to people actually doing trailers for things that have not been shot. Big boards and Power Points — you really have to have things nailed down and worked out. I will get random ideas. Oh this is a good character or scene. I’ll just make notes on my phone (because I’m usually out when they come to me) and then when I feel ready, I sit down and put it together into something coherent. Once I have it, I’ll go to my agents and say “I’m kinda working on this idea,” and either they will respond or not. If it seems viable, then we start the process of trying to put the pieces together. First thing is to get a producer, and often you work with them on the pitch, and by the time you pitch to a studio and studio to network, it all evolves. It’s a very long process and often a lot of work for no money. Most don’t get sold and most don’t get made. PB: What’s the most thrilling part for you — writing, filming, or watching? PR: Writing remains a hard thing to do, and when you’re having a good day and you are really in the zone, that is a great feeling, and that is the only moment that is completely pure — no one’s touched it, changed it. It’s purely yours. In terms of watching it filmed, totally depends. In features, unless you are writer/director, most directors do not want you around. It’s weird — you are visitor, but it was yours. In TV, often the creator is the show runner. 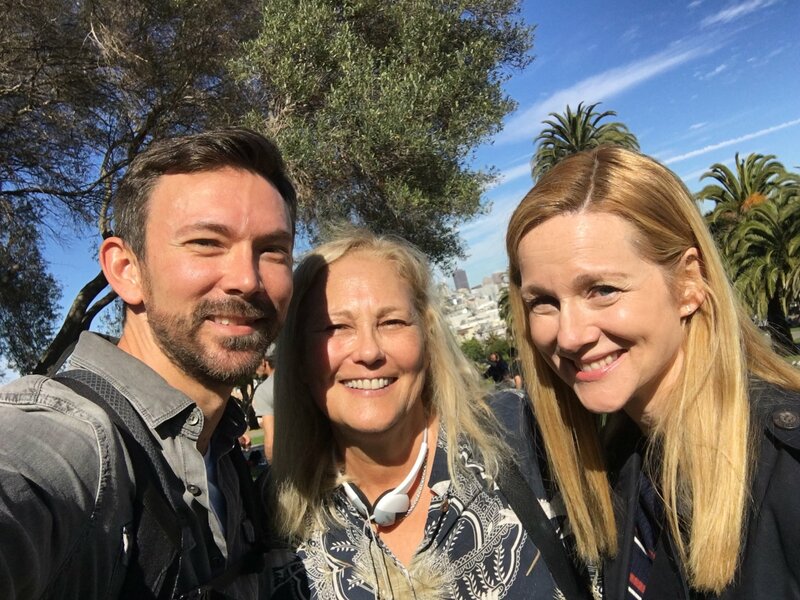 So even as a TV staff writer, you’re wanted on set. Some writers like being on set; some loathe it. As far as realized. Depends on how I feel about it. It often isn’t how you think it will be. I’ve had awful creative experiences that produced good results and [for] others loved the process and the film did not do well. PB: You’ve been very open in the past regarding your personal life. You are very out, you gave up drinking, raised two children on your own. How have the challenges in your personal life affected your art — for good or bad? PR: I think I was really lucky because I stopped drinking at 32. I didn’t have a really low bottom, and I could see what was coming, and I was ambitious. I could never write drunk. So I would write sober during the day and drink at night. It was getting in the way of life and happiness. And I didn’t really start drinking until my mid-twenties. So it was a short seven-year period. I am so grateful social media didn’t exist then. It would have absolutely ruined my career. My sexuality? I think my sexuality influenced my art as it gave me somewhat of an outsider perspective. A lot of wonderful artistic creations stem from a feeling like I don’t fit in. Most people feel like they didn’t fit in for many reasons, and that informed my thought process and how I thought about the world and how I saw the world. In terms of being a female creative, I wasn’t raised to think any opportunity was beyond me, but knowing how incredibly sexist this business is, it probably kept things from me. But if you don’t get a job, you don’t know why. Is it because I am a woman or am I too old? You just don’t know. Raising kids affected my career because I was a single parent, and I didn’t want to take a job that was going to keep me gone. I wanted to direct, and it was hard with my lifestyle. I had the chance to direct and write a short for Showtime, and I just couldn’t leave my kids. I wanted to be able to take them to school and do all that stuff, and I for sure passed on some great opportunities in my peakish years. I made some decisions of what I would do based on them. I don’t regret but it, but sometimes I look at my bank account . . . but it was the right decision. It also gave me new material. Now that they are in their twenties, it keeps me in touch with youth in a way that my friends that don’t have kids are quite unaware of. I’ve been lucky that I’ve been staffing. The vast majority of the writers I work with are in their thirties, so I have a lot of close friends that are young, and I love learning new things and new worlds from them. PB: Finally, I have to ask about Nancy Reagan. You asked her to dance at a wedding. She said yes. How did that happen? And please tell us there is a story in the works about your moxie! PR: I was at a big Hollywood wedding. It was July of 1986. After that happened, I thought I shouldn’t drink out of the house and then later, I got sober in April of ’86. It was Lucy Fisher and Doug Wick’s wedding. They own a very successful production company: Red Wagon. Doug’s father worked for Reagan, so he invited Nancy. I was sitting at a table with Sue Mengers, (very significant talent agent), and Nancy Reagan was dancing with the groom. Sue said “I’ll pay five hundred dollars to anyone who cuts in on the First Lady,” and it sounded good to me. That was a lot of money. So I just went in and cut in, and she said yes. Chances are, it won’t go into a script, but I am toying with the idea of some version of a memoir, and the dancing with Nancy story? That would be the crown jewel. Cover image via Mad Men.